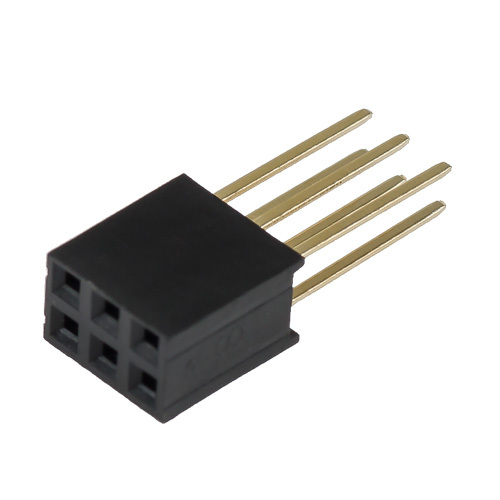 This is a 2.54 mm (0.1") pitch female pin header with long legs. 2x3 pin. It matches for ICSP of Arduino.